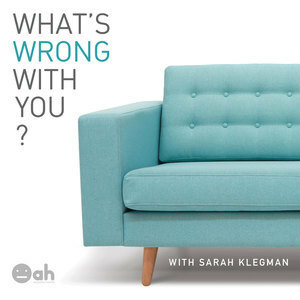 We found 2 episodes of What's Wrong With You? with the tag “lily diamond”. What happens when a spiritual student/teacher has a BIG change of faith, how to deal with the crippling need to belong, and why being able to stand on your head doesn’t necessarily bring you any closer to enlightenment. Lily Diamond is the founder of Kale & Caramel, a super successful lifestyle blog that shares all kinds of recipes for DIY body products and delicious, lovingly created recipes. The blog is so successful in fact, that her first book just came out! "Kale & Caramel: Recipes for the Body, Heart & Table" made the New York Times top summer cook book lists. Get it wherever books are sold. It's a cookbook - but Lily is also a very deep soul (as you will soon hear), and a brilliant writer, so get this book if you love to cook, if you love good, heartfelt stories, or if you just love droolworthy pictures of food, because there are plenty.